Finally, there is a face. She caught my attention at the restaurant's bar with her funny comments that echoed my own. Her name was Trudy, I think. Or Judy. A retired bookseller who overheard my chatter regarding my nerves in being ill-prepared to teach a class that night. She encouraged me and we shared a few off-color jokes before she told me she was there alone because her 68 year old husband was in Boston preparing to run the marathon for the first time ever. She didn't look old enough to be married to someone that age! "Honey, I'm a walking Beatles song. Lord, you probably have no idea what that means!" Laughing, I gave her my card, asking her to stay in touch. Her excitement at finding out I was a writer was contagious for that brief moment. "I envy you so much, a teacher and a writer! What amazing gifts you have to offer!" I'm of the mind that every little dot in the universe is pre-connected before we ever came along. This afternoon I was startled to hear a friend say "Such a shame about the bombings in Boston." Then in skimming my Facebook posts, bits and pieces began to paint a tragic picture. On this Patriots' Day, April 15th, the rockets' red glare came from the blood-spattered bombs bursting in air. As the horror sank in of yet another terroristic tragedy thrust upon us, my thoughts drifted to the woman from the bar, and I thought of her husband. It was after the Arizona shooting of Gabrielle Giffords and many others that I spoke up on Facebook about the ignored problem behind these incidents. 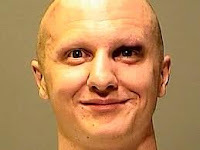 We see the deaths of the innocent, but stare blankly at the face of the mentally ill who are behind the acts of violence that are coming more and more frequently. The eyes of Jared Lee Laughner burrow into me still. An acquaintance, Steve, messaged me privately in agreement with my observations and revealed his secret; his son had come home from war with PTSD, displaying such violent tendencies that they live in fear of someday turning on the news and finding it will be their son's face in the headlines. The Aurora Massacre touched close to me, as my beautiful cousin Emily lives in the area, as does my longtime friend Angie. I stayed up all night waiting for them to check in on the site to know that they were not at a midnight showing of the new Batman movie. 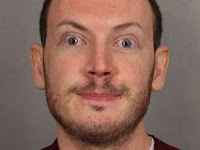 As the news unfolded over the days to follow, I was deeply disturbed by the images of James Holmes. It was after this that I messaged Steve back with how I thought of him and his son every time some new calamity exploded upon us, and that I wished I could find the words to put forth that would raise our tolerance, promote forgiveness, and stop the wildfire of hate that runs rampant among us. Do I cheer on those behind the killings? No. 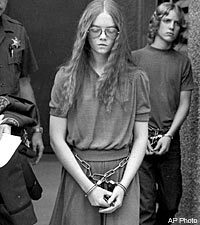 I cry a little inside every time I think of Brenda Ann Spencer, Eric Harris and Dylan Klebold, Seung-HuiCho, Laughner, Holmes, Adam Lanza, and all of those lost to us at their hopeless, mind-bent hands. Senseless? No, I don't believe that. Everything is with reason - how can we learn otherwise? How do we learn forgiveness, redemption, even joy without despair? And when will we begin to see the faces? My friend Kevin said to me today, as speculation seeped into the media, "Whoever they are, they are Evil with a capital E." My answer: "What defines the line between evil and mentally fucked up?" We don't yet know if this was an act of terrorism or another somebody clawing their way into their 15 minutes, but as a society we are breeding these people, in our nation and in our world with our hate upon hate. Self-righteousness that we could not commit such acts will only get us as far as a blood-stained bible left on an empty pew. When was the last time you saw the face of someone reaching out to you for help? Or did you turn a blind eye to the freak with the orange hair or the deranged guy sitting in the back of the room? The names come and go briefly in our minds, but I keep a photo of Jared Lee Laughner on my hard drive, because I never want to forget the gravity of what the human mind is capable of in times of darkness. I forced myself to watch the footage of the man with two severed legs being tended to today by emergency workers, because I need to keep within me the suffering of people outside of me. I am desperately hoping that the funny Beatlesque woman who championed what I do will see this, and that her husband comes home to her safely. Finally, I found the words. Because finally, there is a face. Thanks for sharing this opinion- I always feel like the only one who isn't wishing a painful death upon all criminals. Glad to know there's not something wrong with me for seeing them as human too. Thank you for your comment, Bryce, but I'm not entirely sure how it applies to this post, so I'm not able to really reply...?